company's legal requirements are being met. There’s more to visitor management than simply signing in. In today’s business environment, there’s a lot more to visitor management than signing in and out. Visitors and contractors agree to your terms of entry during the sign in process. View all visitor activity on an easy to use dashboard. Printed badges with company logo, visitor photo and personal ID. Manage emergency situations with an accurate list of visitors. Send SMS or email notifications to one or more nominated people. RFID card for fast accurate tap in, tap out. As relief staff log-in and log-out of your premises, Entrytab allows you to calculate their hours. Entrytab can alert a nominated staff member when staff or contractors have logged in and logged out of the premises outside standard hours. Issue regular visitors a Quickpin code that remembers all their details and speeds up the registration and sign out process. The end result is a visitor management system that's perfectly in tune with your business environment. There’s no need to pull a staff member from their daily role to learn how to set-up Entrytab. We do it for you. The Entrytab system is an ideal solution to manage visitors into industrial and warehouse businesses. Not only is everybody who sign in and sign out accounted for, but Entrytab ensures they meet your legal requirements and terms of entry. Entrytab works with your current office systems to sign in visitors, contractors and staff. Know who is on your premises and who they are visiting. 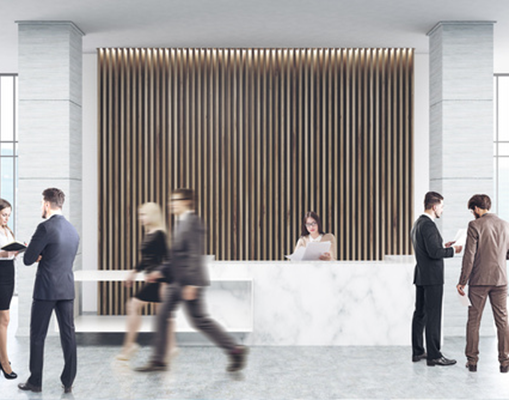 Manage the flow of deliveries at your front desk and ensure all visitors meet your terms of entry. Sign regular visitors in quickly with RFID tap cards or assign an easy to use personal code. So visitors can be identified, instantly print name badges with a photo and other information. Courier deliveries are fast and efficient with a direct notification to the person listed on the parcel from the front desk station. 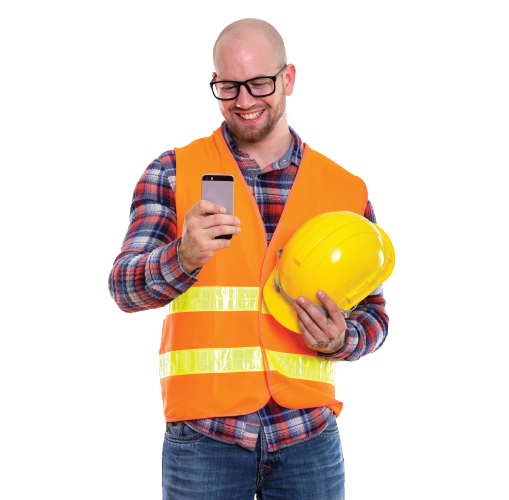 Entrytab allows staff and contractors to sign in and sign out of while working at an offsite location via their smartphone. Manage contractors inductions, compliance and work times though your central dashboard. View which of the worksites they signed in and out of. Includes Entrytab EquipmentTracker to monitor borrowed equipment. Know who has keys and tools and when they are due to be returned. 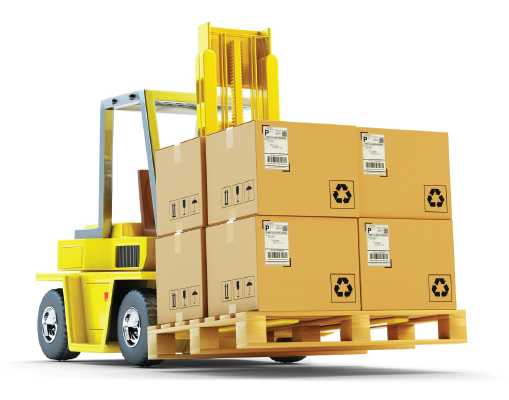 Receive reminders when an equipment return date is coming up. Ensuring the sign in and sign out process is fast and convenient is essential. Entrytab offers a number of options that allows regular visitors to be quickly processed using RFID, QR codes, barcodes, or QuickPINs. Barcode: Utilise existing company cards. Experience the many Entrytab features with a 30 day free trial.